When you think of Thanksgiving what are the first thoughts that come to your mind? Do you think gratitude for a year’s worth of blessings? Perhaps football? Shopping? Or maybe please give me enough alcohol to get me through this day with my family? Did you know more wine is consumed on Thanksgiving in the US than on any other day of the year? It’s true! Is this because so many wines pair well with the bounty of food that is traditionally served on Thanksgiving or again as an aid to get through a long day with family? Whatever the reason you chose to drink wine this Thanksgiving make it a Lodi Wine day! 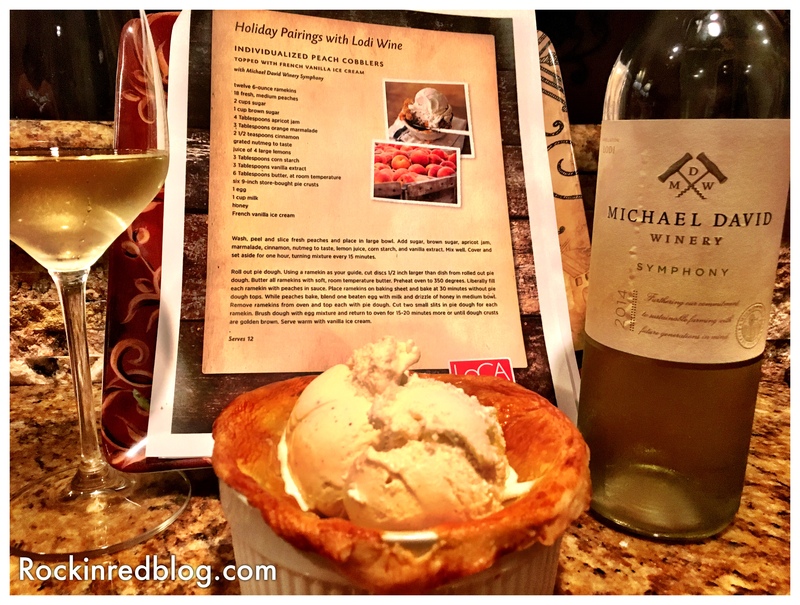 This month’s Wine Pairing Weekend we are exploring wine and food pairing for Thanksgiving. 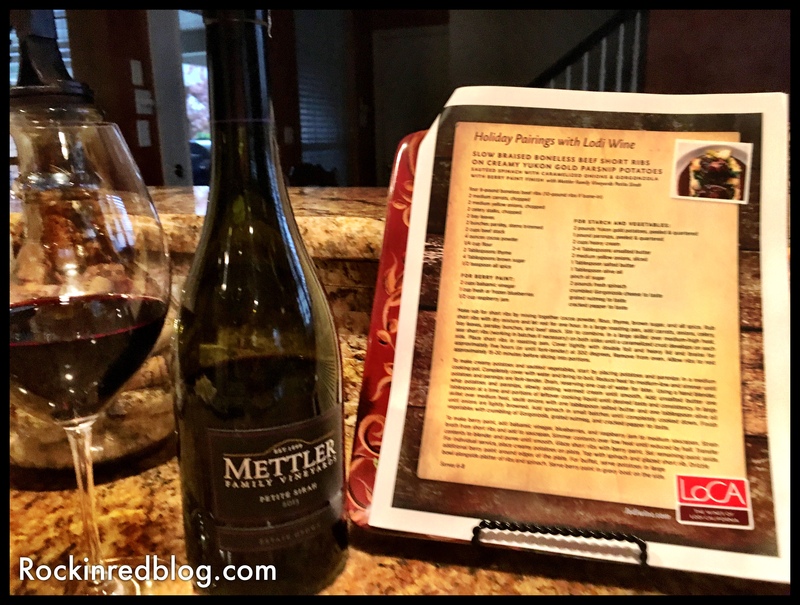 I was recently invited by Charles Communication to participate in a Lodi Wines “Out of the Box” Thanksgiving virtual tasting; I knew it would be the perfect way to celebrate Thanksgiving for Wine Pairing Weekend! Why? First of all because Lodi wines are fantastic! Second because each wine came with an “out of the box” Thanksgiving recipe to pair with it. Finally, because every time I participate in a Lodi wine tasting the winemakers never fail to mention their stewardship of the land and the blessings it provides. After all, isn’t the blessings of the land what it provides part of what we honor at Thanksgiving! 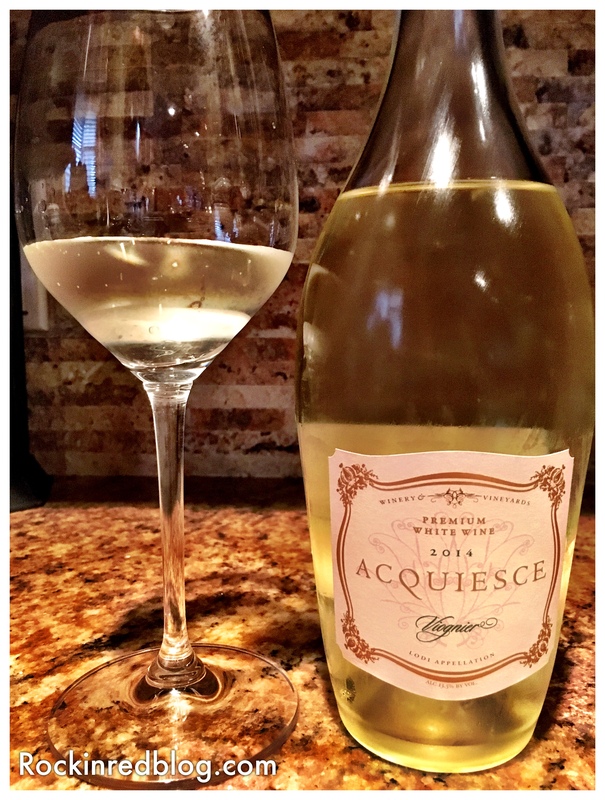 Acquiesce 2014 Viognier: 100% Viognier; soft gold; aromas of honeysuckle, stone fruit, citrus and grassy notes; surprisingly acidic for a varietal that tends to lack acidity, round on the palate with a nice mineral spine, clean and crisp with a lingering dry finish; an elegant and pleasing wine; SRP $23. 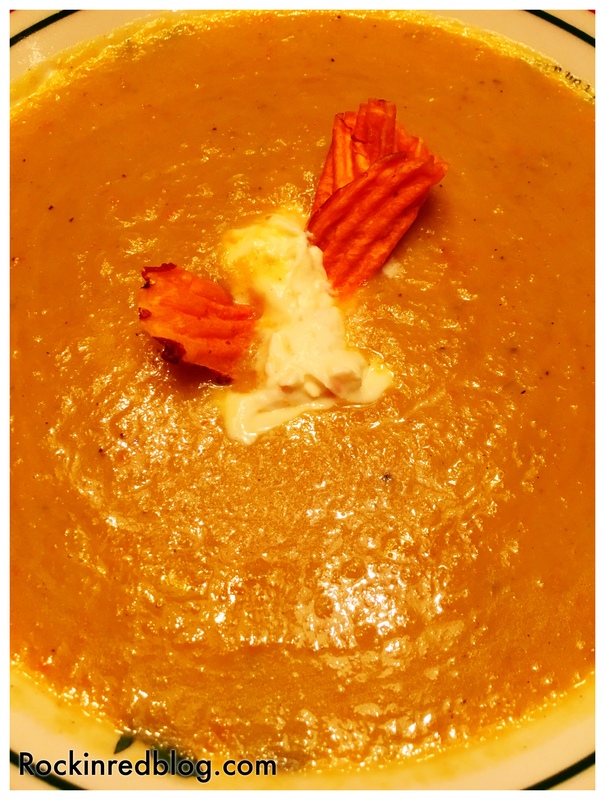 Paired with Roasted Butternut Squash Bisque Topped with Mascarpone Citrus Yogurt and Sweet Potato Chip. 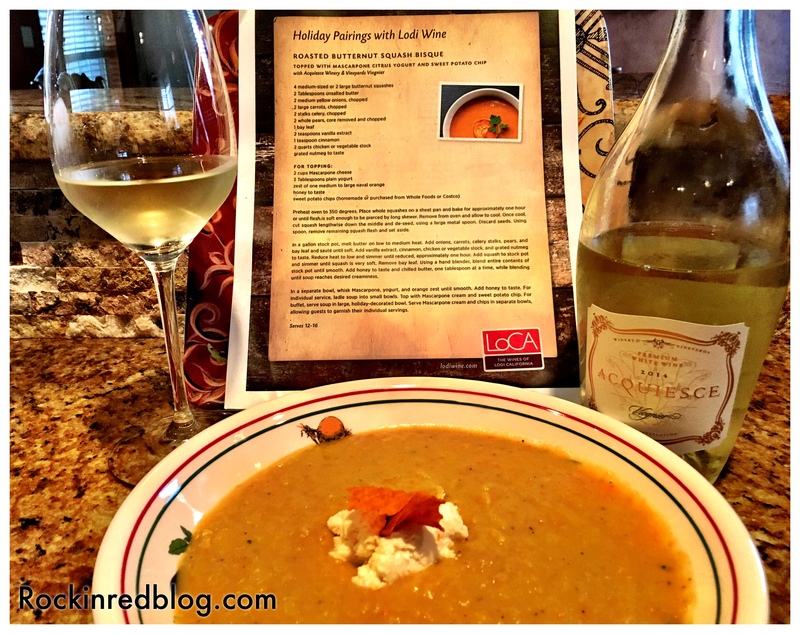 The creamy texture of the soup with the pears and squash paired elegantly with the Acquiesce Viognier. 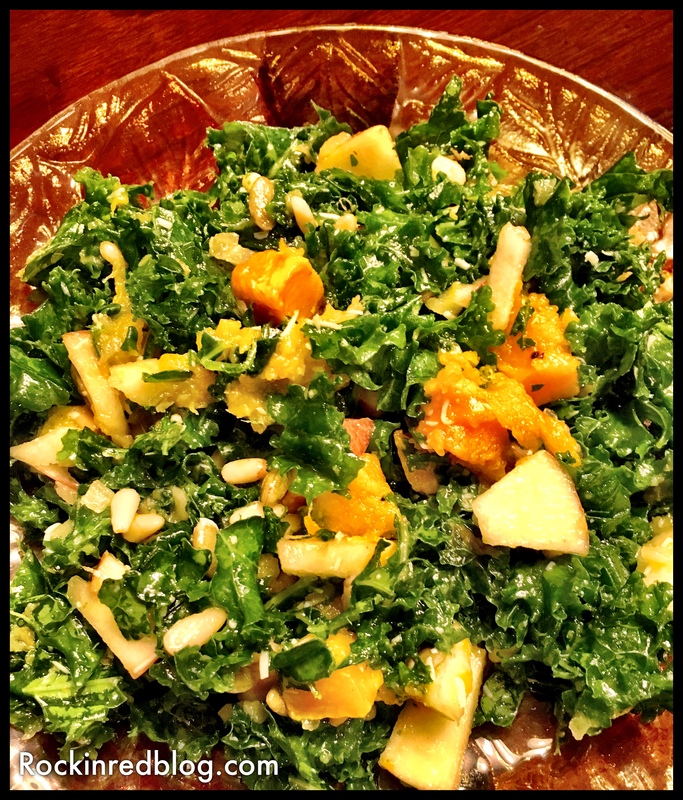 Additionally, I added a Fall Harvest Salad of kale, butternut squash, and apples with an apple vinaigrette, by A Pug in the Kitchen, that was also a perfect fall salad and delicious with the crisp Viognier! 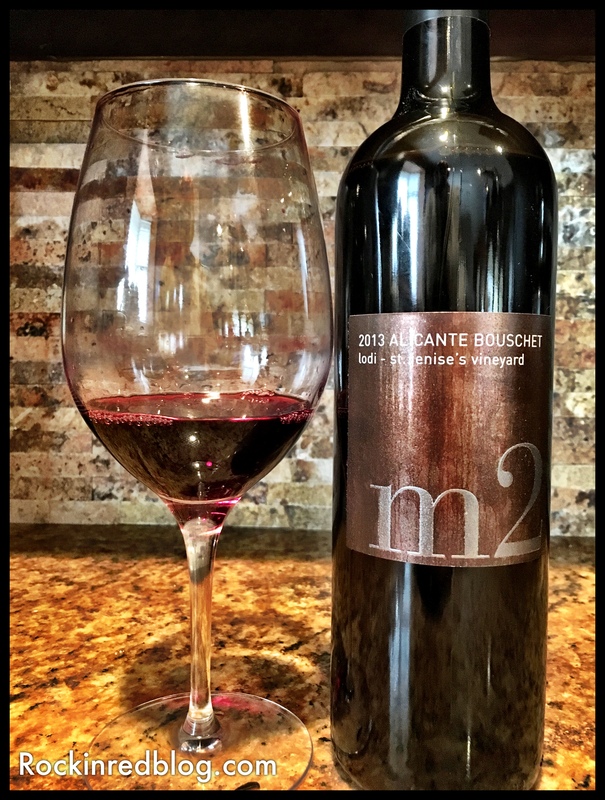 m2 Wines 2013 Alicante Bouschet: A grape varietal that was widely cultivated in France and California since 1866 but fell out of favor during Prohibition. Intense ruby in the glass; dark cherry, blackberry, plum, pomegranate, savory herbal notes, green olives, cedar, touch of spice ending with tart black pepper; a layered and complex wine that changed as it opened up revealing a new world quality on a foundation of rustic, old world character; unique and very nice. SRP $26. 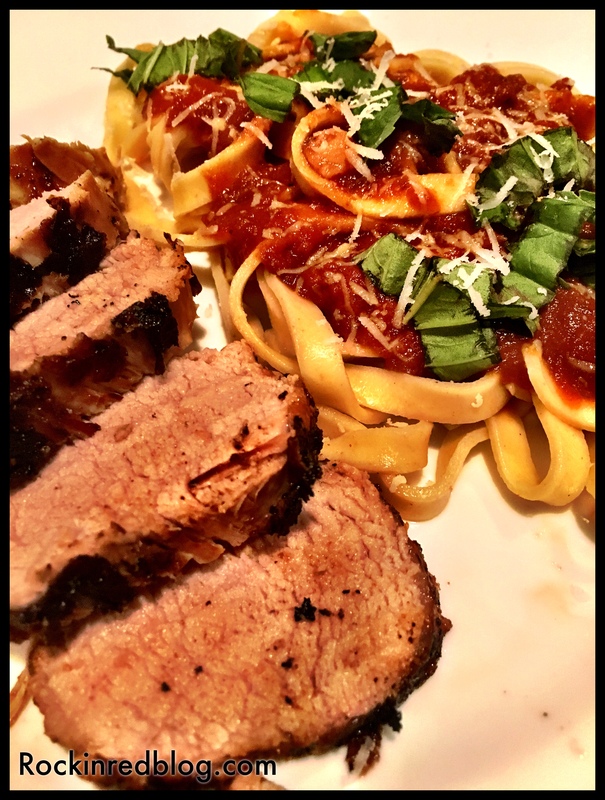 Paired with Marinated and Smoked Paprika Grilled Pork Tenderloin with Pancetta Roasted Tomato and Red Pepper Fennel Ragu. 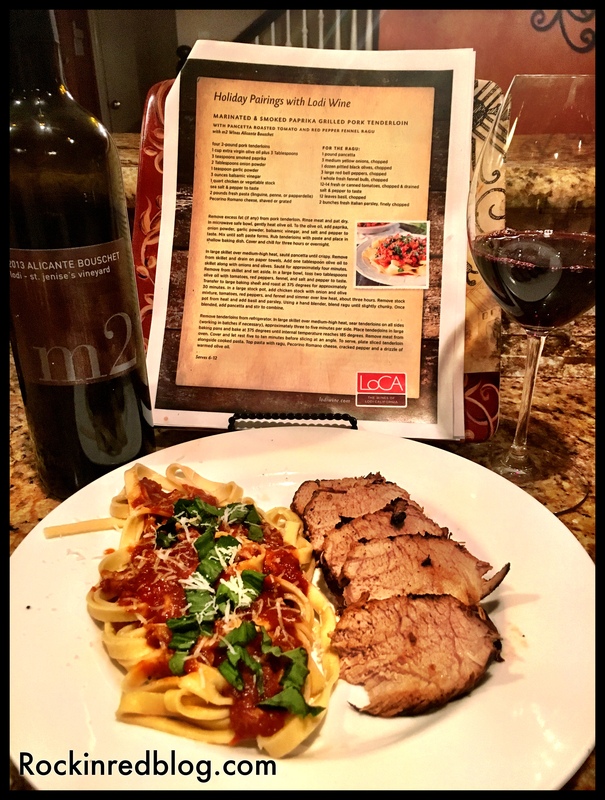 The recipe’s rustic quality was a perfect pairing for the wine and I would gladly have both again! The wine was complex with layers of flavors that blended beautifully with the layers of spices and flavors in the dish. 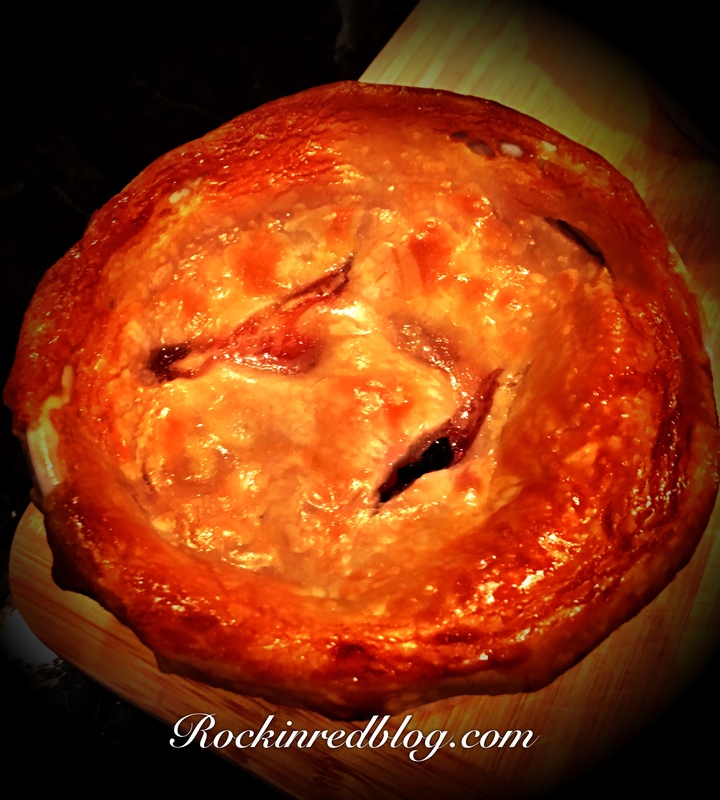 A true “outside the box” Thanksgiving recipe perfect for fall! 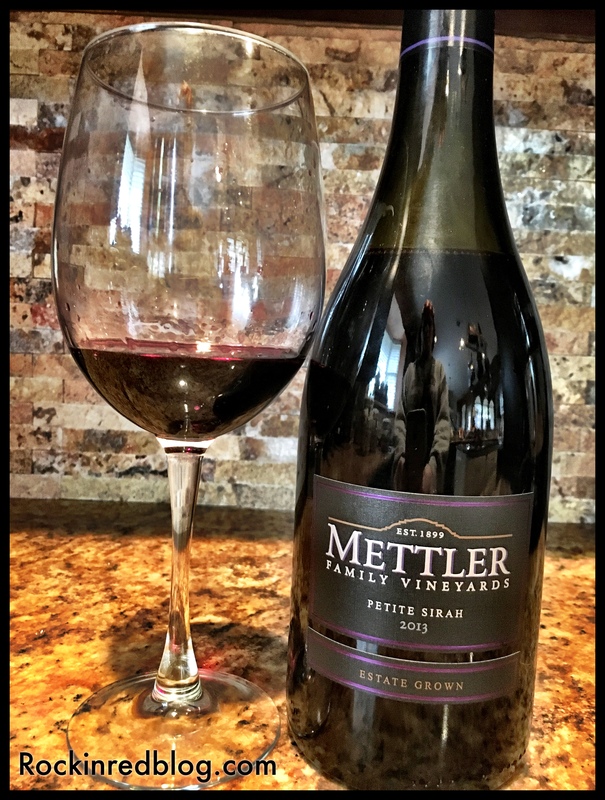 Mettler 2013 Petite Sirah: Inky purple in the glass; pleasing blend of black cherry, bramble berry marmalade, raspberry, and plum with spice box featuring cinnamon, mushroom, savory herbs, dark chocolate, oaky notes and vanilla; a big wine yet beautifully balanced showing true skill of the winemaker, medium body with round acidity and supple tannins creating a lingering finish on the palate. SRP $24.99; a lot of wine for a great price. 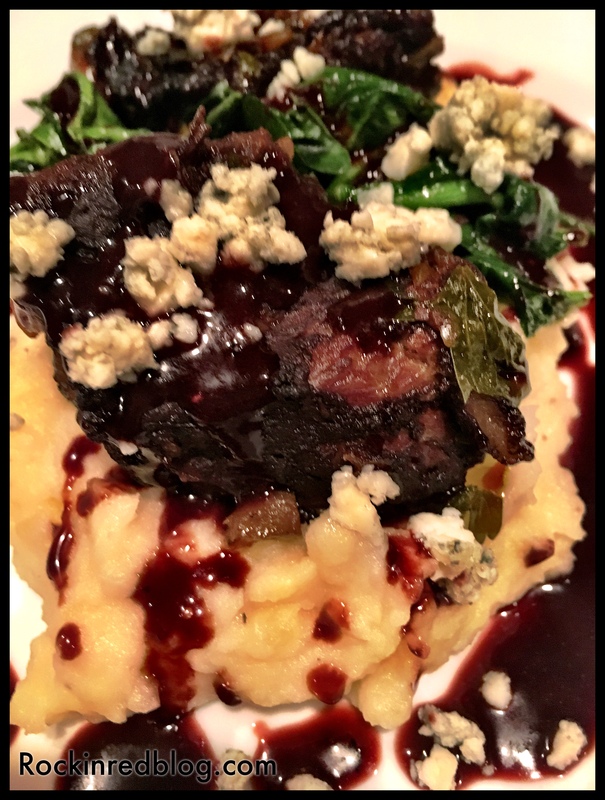 Layne Montgomery of m2 Wines described this wine best by saying “If purple had a flavor this would be it!” Paired with Slow Braised Boneless Beef Short Ribs on Creamy Yukon God Parsnip Potatoes with Sautéed Spinach with Caramelized Onions and Gorgonzola with a Berry Paint Finish. It’s a mouthful of a title and took some time to make but boy was it worth it! All the wine and food pairings were spot on but this one knocked it right out of the park! Don’t skip any steps, especially the berry paint finish which tied the dish and the wine together like peanut butter and jelly! 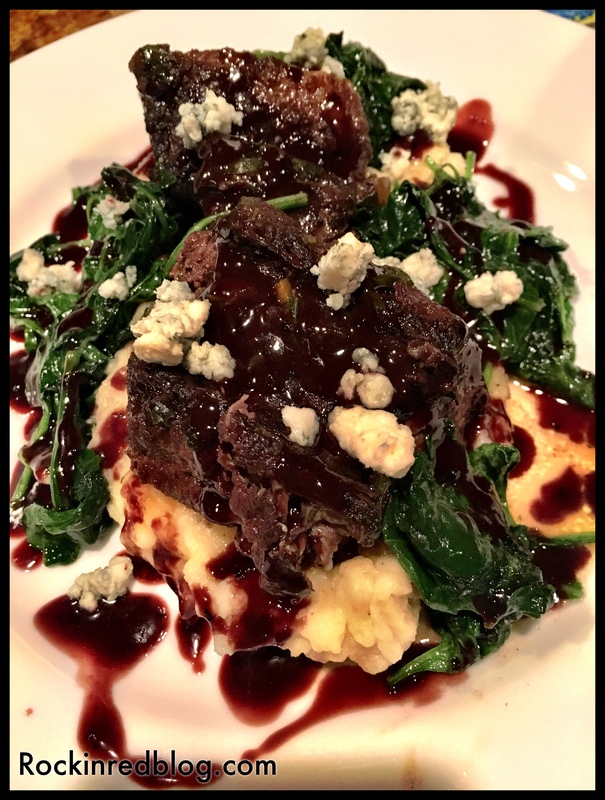 A fabulous meal and wine pairing you will want to enjoy again and again. 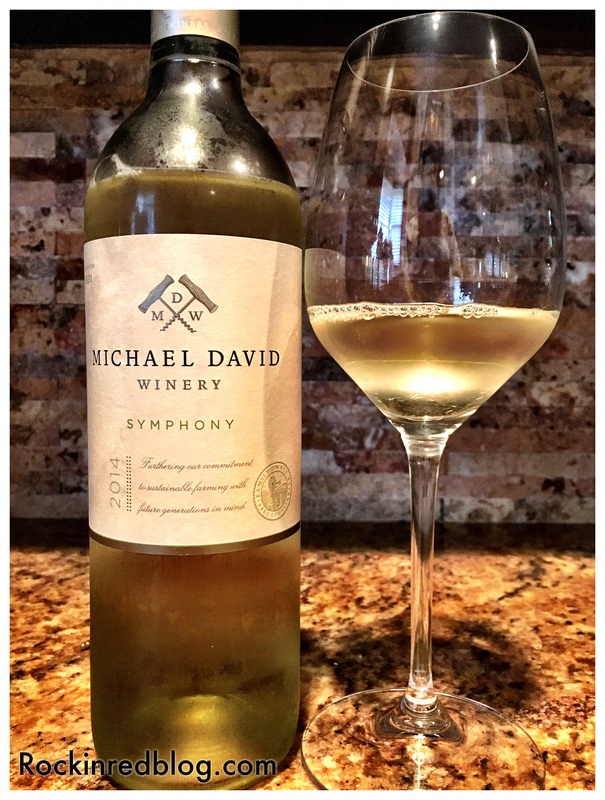 Michael David 2014 Symphony: The Symphony grape was invented in the 1940’s by Dr. Harold Olmo of UC Davis by crossing Muscat de Alexandria with Grenache Gris. It is a true California varietal and this was the first time I had it. Soft golden in the glass; a lively and inviting aroma of pineapple, banana, lychee, and citrus; sweet but not syrupy with a fine effervescence in the glass though not a sparkling wine; very well-balanced and quite delicious with a round acidity to counteract the sweetness. SRP $15. Paired with Individualized Peach Cobblers Topped with French Vanilla Ice Cream. It is very important when pairing sweet wine with a sweet dessert that both have the same level of sweetness, otherwise one will overpower the other creating an undesirable bitterness. No worry of that here. This was the perfect dessert pairing and would make a great conclusion to any meal any time of the year! Great news! 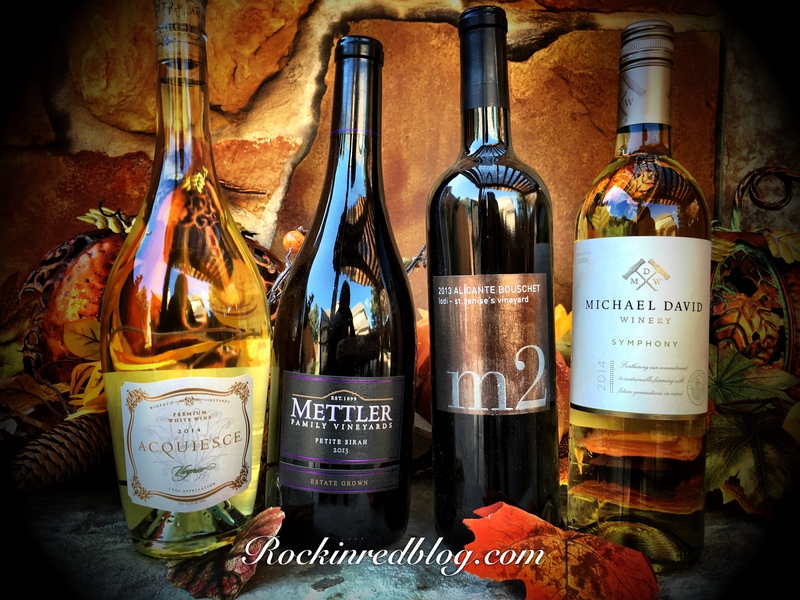 The Lodi “Out of the Box” Thanksgiving is available with all four wines and recipes for only $80! Order today to have in time for Thanksgiving. Located at the base of the Sierra Nevada Mountain range, Lodi is approximately 100 miles east of San Francisco and 35 miles south of Sacramento. A major winegrowing region since the 1850’s, Lodi is home to over 100,000 acres of premium vineyards farmed by more than 750 growers. With more than 100 varieties currently being cultivated, Lodi offers a diverse portfolio of wines. While long renowned for its high-quality Zinfandel production, including an estimated 2,000 acres of pre-Prohibition own rooted vines, the area also produces some of the most versatile, food friendly varieties in the world, including mouthwatering Picpoul and Kerner, juicy Carignane and delicate old vine Cinsault, complex Iberian, Italian and Alsatian styles and beyond, many of which pair perfectly with the often tricky cornucopia of flavors at the Thanksgiving table. The region owes much of its recent success to the increase in critical and consumer attention paid to Lodi-designate wines. In fact, the past 10-15 years has seen astronomical growth in demand for Lodi wines, as well as in tourism to the wine region. Today, Lodi is home to over 85 boutique wineries specializing in small-lot, handmade wines that have garnered major awards at domestic and international wine competitions. 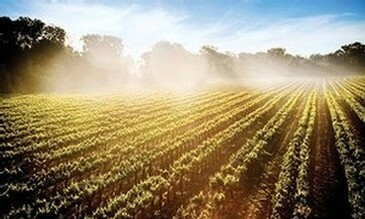 In addition, Lodi is one of the leading wine regions when it comes to sustainable viticulture. The Lodi Winegrape Commission created Lodi Rules™, California’s first third-party-certified sustainable winegrowing program, which recently won Governor Jerry Brown’s annual Governor’s Environmental and Economic Leadership Award (GEELA) – the highest environmental award in the state of California – for its mission to address major environmental, economic and social challenges facing California agricultural industry. 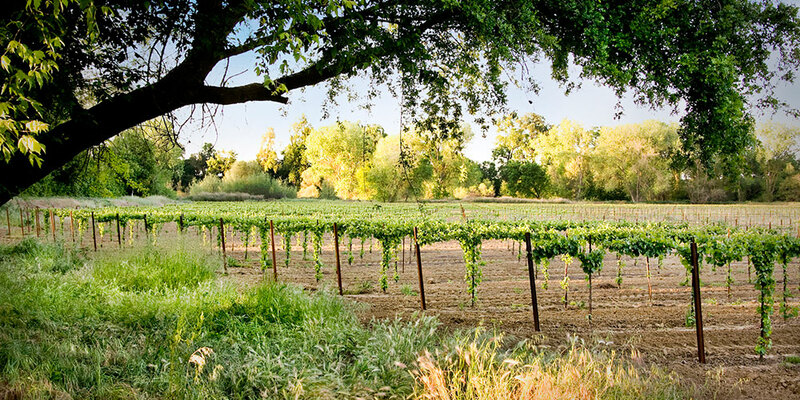 Lodi, California was just named Wine Enthusiast Magazine’s 2015 Wine Region of the Year! 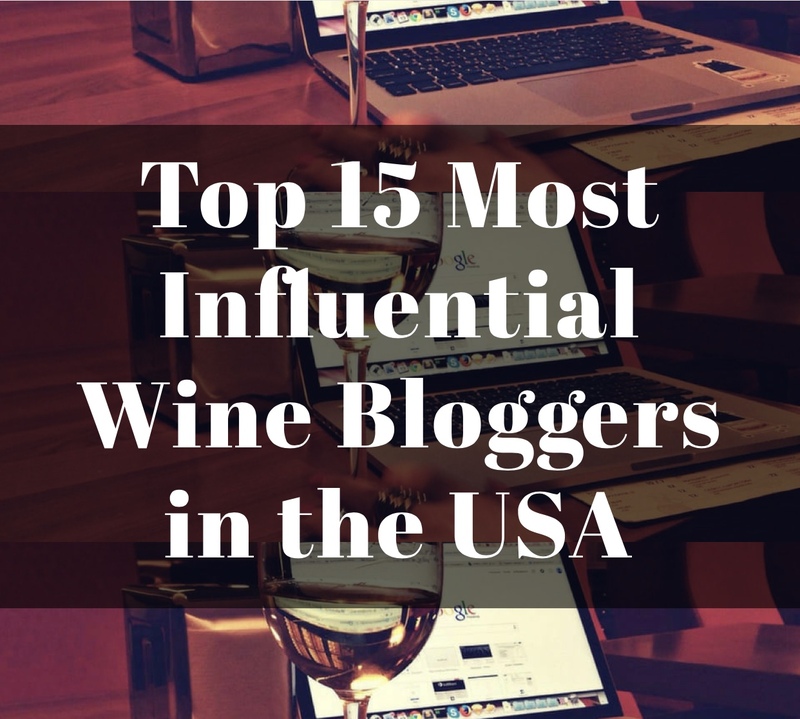 Though it is a great honor it does not come as a surprise to those of us who know how special Lodi is and how outstanding the wines are that are crafted there. 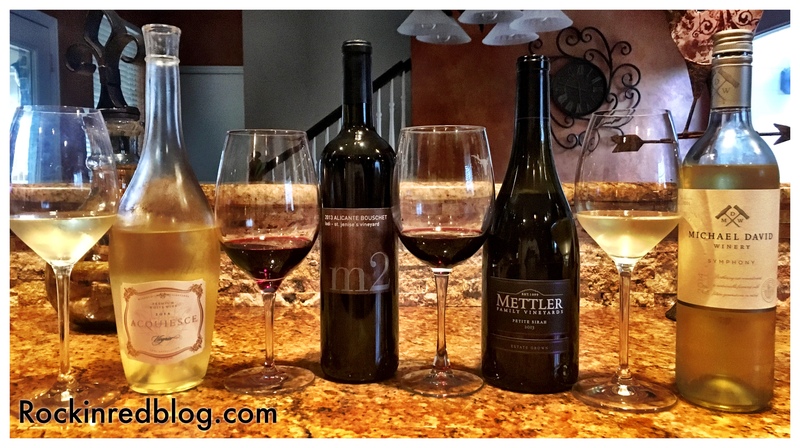 If you have never had wines from Lodi now is the time! Order your “Out of the Box” Thanksgiving Pack and have a Lodi Thanksgiving this year! 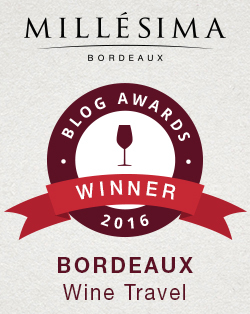 Join our live Twitter chat at 10:00 am CST this morning on Twitter by using #winePW. This will be a great chance to ask your Thanksgiving wine pairing questions, and share what you know! If you’ve come to us after November 14, consider joining us for #winePW on December 12, focused on “Sparkling Wine and Festive Holiday Dishes”, hosted by Cindy at Grape Experiences. My Song Selection: Whenever I think of Lodi I think of classic rock, smooth hits from the 60’s and 70’s. Lodi just has that feel to it; mellow, communal, a great place to sip wine and relax! I’ve already used CCRs great song Stuck in Lodi, which I often wish I was; since this article is featuring Lodi wines for Thanksgiving I figured it would pair well with Time of the Season by The Zombies. Get your own Lodi wines for Thanksgiving and let me know what song you pair with them. Cheers! SOLD! Just ordered my Out of the Box wines. Thanks for the link. Awesome! I cannot wait to hear your thoughts! Oh my, those meals look impressive. Maybe past my culinary ability- but anything beyond homemade pizza is difficult for me. LOL. I will be making sure Mike makes that Butternut Squash soup bisque. Thank you! You are so funny. I think homemade pizza is hard! Ha! Cheers. I just LOVE Thanksgiving, it is is my favorite holiday of the year. (Never mind that my birthday sometimes lands right on it, like last year.) My parents are visiting from Texas this year for it. Could you recommend a crisp dry white wine that would pair well with the turkey dinner? My mom also cannot drink red wine. We went out to dinner last night and sampled two Pinot Grigios (Italian). One was too sweet and the other had almost a bitter finish. Should I try a French Pinot Gris instead? One of my favorite wines for Thanksgiving is dry Riesling! A particular favorite is Trefethen Family Cellars in Napa; SRP $21. If you are unable to locate that I think any dry riesling from your area will work great. *Just make sure it is dry. Ask you local wine retailer. 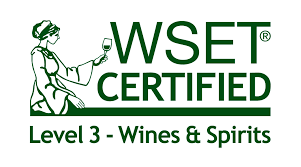 Do you have a particular local wine retailer that you like and trust? Sadly I’ve only been to one of the independent wine retailers in our area, although we have more. I used to hit up the sommelier at one of our locally-owned grocery stores that had an extensive wine selection, but they shut down last year. My last few bottle of wines have come from a chain grocery. Like I said, I need to get out more and start sampling and talking to people! You do! A trusted Somm or store clerk is very valuable when purchasing wine. They can steer you in the right direction with selection and value. Great pairings and sounds like some great wine. Thank you for making the salad and I love the pairing with the Viognier, next time I make the salad will try that wine with it. 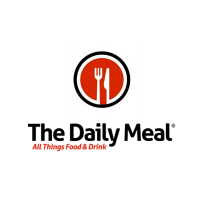 Love all the food and as always expertly paired and reviewed. sounds like a nice variety. I think I’ve mostly had Zin from Lodi, didn’t know they were producing such a variety. There are over 100 different grape varieties grown in Lodi and it was just named Wine Region of the year. Definitely a wine region to explore. Wow, how lucky are you to receive these great wines AND these wonderful recipes with which to pair them. I have never tried these wines but you can be sure that I am going to remedy that. Thank you Wendy. You will love Lodi wines! I’m a big fan of Lodi wines. They are certainly a region on the rise and what they’re doing with sustainability with the Lodi Rule is commendable. Some great looking food and wine pairings! I am a big fan of Lodi too! Great wine making attitudes there. That’s a lot of wine for $80. Great deal and very clever. WBC is in Lodi this summer so I will get to do some tasting! Can’t wait to try more Lodi wines next summer!